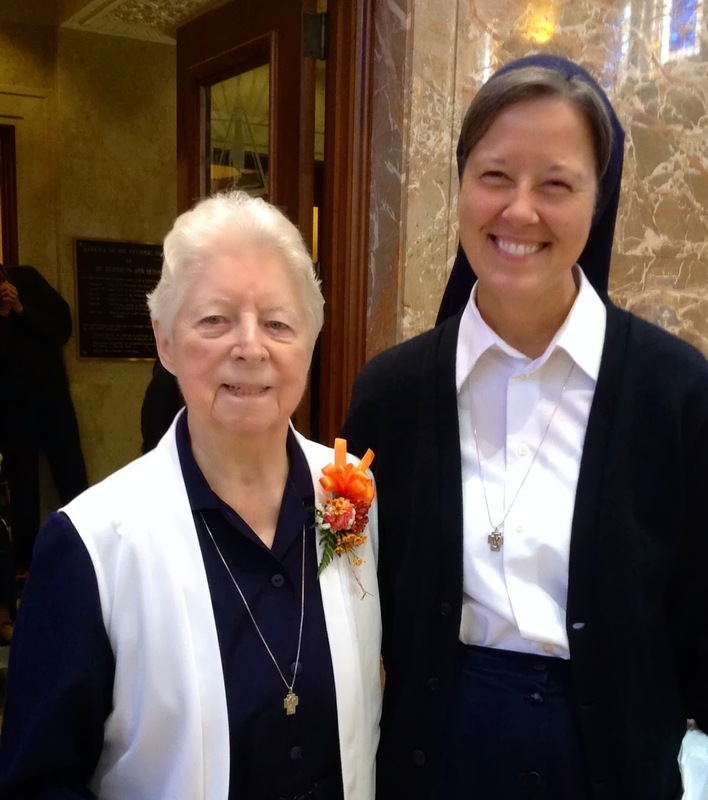 Sister Virginia was a wonderful person with whom to share community life! She had a deep faith and a great sense of humor, was always other-centered, and would roll up her sleeves to help those in need. I remember when other Sisters' families would come to visit, she was the one out in the kitchen cooking breakfast, doing the dishes, lending the car, etc. Sister Virginia would initiate simple parties in the house - just imagine a bunch of Sisters on Halloween dunking for apples to get some special prize, or on Christmas, stomping on red balloons in order to pop them and get "the green money" hidden inside! Sister Virginia also was known for confusing one name with another. An example would be when another sister’s own brother Ted visited us for a week in Pensacola. Sister Virginia kept calling him "Fred" or "Ed". We whispered his correct name to her and just a few minutes later, Sister asked, "Fred, what time are you joining us for dinner?" 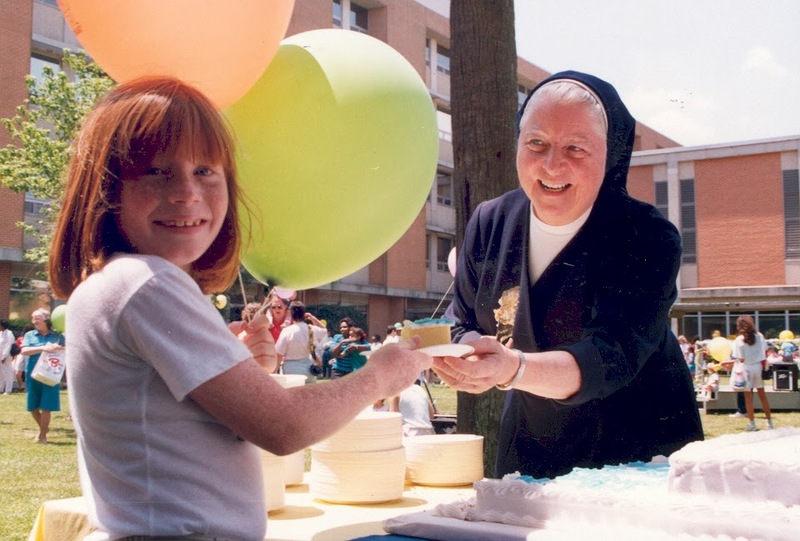 An amazing hospital leader, Sister Virginia had deep insight, broad vision, the ability to see the big picture, and, most importantly, the gift to build relationships. A former board member once introduced Virginia at a hospital event with the usual formal titles of "Chair of the Board, Administrator/CEO," and then he added, "Sister Virginia is really the sweetheart of Sacred Heart Hospital." One of her former chief operating officers emailed me and wrote that Sister Virginia was a compassionate and genuine person with whom he enjoyed working and how much he appreciated her wisdom, especially when he went through a particularly difficult situation. “The Daughters of Charity have lost a treasure." On a personal level, Sister Virginia has been my friend, mentor and spiritual guide for almost 30 years. She was a strong support to me when I was a new nurse, when my brother and mother died, when I helped to establish a free clinic in Fayetteville, NC, when we Daughters were leaving our mission and ministry in Pensacola, FL, when I relocated to our new Provincial House in St Louis, and the list could go on... I'll miss her wonderful advice of "Leave it in the Lord's hands" and her frequent voicemail messages, "Hi, Jean! Just a quick call to let you know I'm praying for you. Love you!" "Some people come and go quickly in our lives. Others leave footprints on our hearts and we are never, ever the same." (Flavia Weedn) Good bye, Gin, my very dear friend. Love you, too!